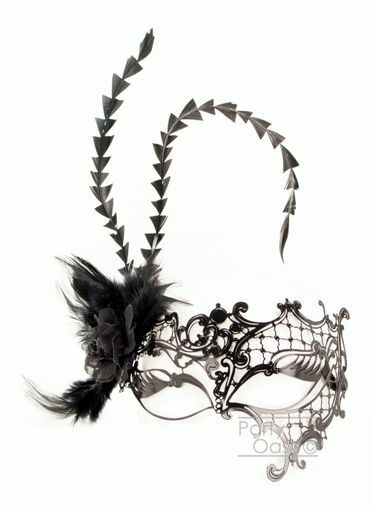 Black and silver women's masquerade mask is made from a lazer cut metal. Lightweight design and adorned with a feather plume. Comes with ties for easy wear.